not even the marching of mighty armies can halt us. We are moving to the land of freedom׃Speech before the Alabama State Capitol building in Montgomery, at the conclusion of the march from Selma to Montgomery,March 25, 1965; in James M. Washington, ed., A Testament of Hope: The EssentialWritings and Speeches of Martin Luther King Jr. (New York: HarperCollins, 1986), 229.
reveals something basic about the universe. It tells us something about the core and heartbeat of the cosmos. 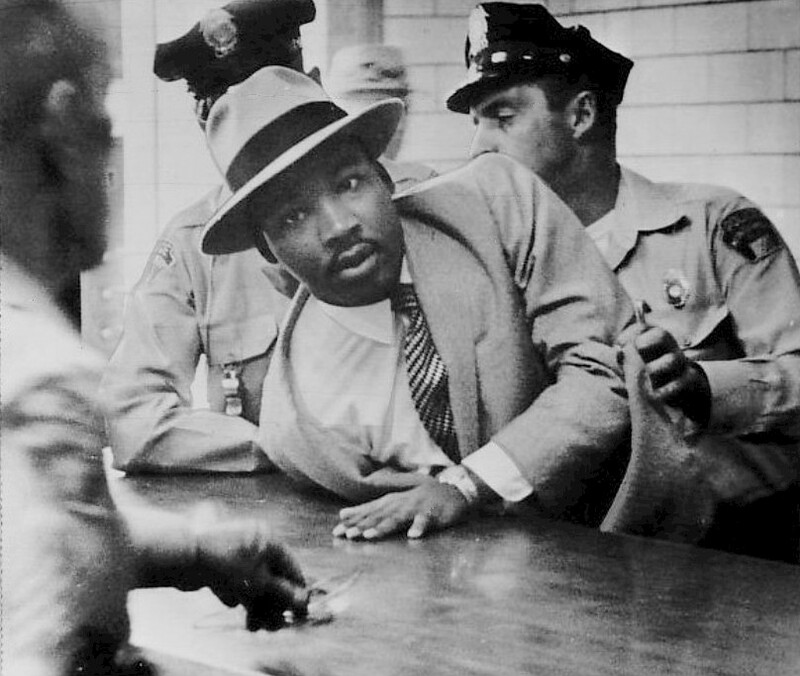 Montgomery, Alabama, December 1956; in A Testament of Hope, 141. Behind the harsh appearances of the world there is a benign power׃“Pilgrimage to Nonviolence,” in Strength to Love (collection of sermons by Dr. King) (Philadelphia: Augsburg Fortress, 1963), 153. Like anybody, I would like to have a long life. And I’ve looked over. And I’ve seen the promised land. I’m not worried about anything. I’m not fearing any man. Mine eyes have seen the glory of the coming of the Lord׃Address at the Bishop Charles Mason Temple in Memphis, Tennessee, April 3, 1968 (Dr.
King’s last sermon); in A Testament of Hope, 226. 1. Speech before the Alabama State Capitol building in Montgomery, at the conclusion of the march from Selma to Montgomery,March 25, 1965; in James M. Washington, ed., A Testament of Hope: The EssentialWritings and Speeches of Martin Luther King Jr. (New York: HarperCollins, 1986), 229. 3. “Pilgrimage to Nonviolence,” in Strength to Love (collection of sermons by Dr. King) (Philadelphia: Augsburg Fortress, 1963), 153. 5. Address at the Bishop Charles Mason Temple in Memphis, Tennessee, April 3, 1968 (Dr.
“A Haftarah for Martin Luther King Shabbat, by Rabbi Marcia Prager and Ḥazzan Jack Kessler” is shared by Marcia Prager under the contributor's Fair Use Right (17 U.S. Code §107 - Limitations on exclusive rights: Fair use), in respect to the copyrighted material included. Any additional work that is not already in the Public Domain is shared under a Creative Commons Attribution 4.0 International license. Please reciprocate for any adaptation or redistribution of this work by (1) properly attributing the work to Marcia Prager, Martin Luther King, Jr. and Jack Kessler, (2) clearly indicating the date you accessed the resource and whether any changes have been made (and if so, please be in touch with us and leave a comment below so that we might note your adaptation or improvement), (3) providing a link back to this source, and (4) specifying the Fair Use Right (17 U.S. Code §107 - Limitations on exclusive rights: Fair use) under which this work was shared.